Getting scammed might be an early indicator that an older person is starting to have cognitive declines, a new study suggests. About a third of people 85 or older have Alzheimer's disease. There is no cure and treatments to help slow down memory loss only work if a patient starts taking them early. But most people don't begin to lose their ability to recall things like names until the disease has progressed substantially. Finding early cues could be crucial to diagnosing and treating Alzheimer's disease as soon as possible. Plus, the study authors from Rush University in Chicago note, elder fraud leads to the loss of $35 billion a year, so knowing how many people may be at risk for such scams may help us better protect at-risk senior citizens. Elderly people have long been considered easy targets for cons and frauds. Perhaps the classic example is the so-called grandparents scam, in which con artists contact elderly people and impersonate the grandchildren or other family members, asking for financial assistance to help cover the costs of a car crash or similar emergency. 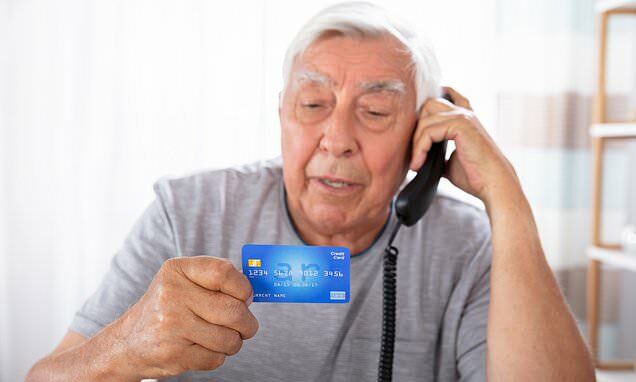 Older populations tend to have more readily accessible cash and are seen as alone, and thus more likely to pick a phone cal, even if it's from an unfamiliar number. But scientists have long suspected that something much more sinister than simply targeting 'gullible' older people is going on when it comes to scamming. And the new study, published in the Annals of Internal Medicine, demonstrates that vulnerability to cons may be an early symptom of cognitive declines, and 'harbinger' of Alzheimer's disease. Scientists at Rush University had been hearing a growing number of reports of elder fraud in recent years.